The tussle between the North and South in trade negotiations has gained momentum in the past few weeks. The current WTO negotiations carry the risk of undermining the legitimacy of the organization itself, and thereby the utility of the multilateral trade body. As a prerequisite for executing the deal concluded in Bali, India called for a permanent solution to its food security program. Currently, India is holding up negotiations on the most important outcome of the Bali deal, the Trade Facilitation Agreement (TFA), as it seeks a more concrete discussion on the future of food stockpiling programs across the world. The TFA is expected to be a major employment and income generator in the context of world trade (expected to generate $1 trillion in trade and create 21 million jobs). Many developing countries still perceive the TFA as nothing more than an import facilitation agreement that will benefit conglomerates from developed countries. Moreover executing a deal of this scale would require immense financial and infrastructural input from developing countries. As a trade-off, India wanted to make food stockpiling programs an exception to the Agreement on Agriculture, which only allows for a 10 percent aggregate measure of support on the total value of agricultural production based on 1986-88 prices. With the July 31 deadline for adopting the protocol to bring the TFA under the WTO’s legal framework at hand, India remains firm in its stand, risking the first derailment of a multilateral trade deal since the failure of the Doha round of negotiations. The support for India’s stance stems from a deeply embedded belief that the West is apathetic to the suffering of the poor in developing and least developed countries. Although this view has some merit, it could encourage a prejudiced and parochial standpoint devoid of the long-term perspective necessary in trade negotiations. The extent to which the Indian government has considered the ramifications of its current position on the economy and industry is uncertain. Nor is it known whether there was any empirical study conducted on the impact that such a spirited stance would have on its economy, or why a new government, which came to power on slogans about development, is pursuing an agenda reminiscent of the maladministration conducted by its “leftist” predecessor. Nevertheless, it is important to discuss both ends of the spectrum before forming an opinion on any issue, so consider this decision through the prism of rational choice theory. The theory is linked to the Realist school of international relations. It is premised on the idea that a state will do a thorough cost-benefit analysis, and ultimately make a choice that maximizes its utility. Given this backdrop, it is pertinent to observe the factors that should inform India’s position on the issue, such as India’s reservations, the ramifications of derailing the Bali deal, and the sidelining of India through tactical pressure on other developing countries. India believes that the U.S. is only paying lip service to the WTO food stockpiling program, and if India doesn’t push for a permanent solution to the issue at this stage it would fail to bring the developed countries to the negotiating table, leaving it unable to protect its well-intentioned (but ill-conceived) pro-poor program. There is precedent to suggest that this line of reasoning is not completely unfounded. It is a matter of record that despite their commitment to transferring technical skills under the Agreement on Trade-Related Aspects of Intellectual Property Rights (TRIPS), aimed at global technological development, developed countries have long pursued policies that do not promote technological transfer to developing countries. On the contrary, these countries have made efforts to stifle such initiatives. India also argues that the subsidies in question under the food security program are only a fraction of what both the U.S. and EU offer to their farmers. There is another aspect to India’s contumacy at the WTO, which may be more symbolic. Perhaps, ahead of the India-U.S. strategic dialogue and discussion at the WTO regarding India’s intellectual property regime, India wishes to send a strong signal to the U.S. that it won’t surrender easily to burgeoning pressure from the Office of the U.S. Trade Representative (USTR). The derailment of the deal will have a significant impact on India’s industry and economy. Prior to the Bali deal, there was growing discontent among member states over the sluggishness in executing trade deals since the inception of the WTO. This discontent was more prevalent among the developed countries, which were pushing for more multilateral free trade agreements outside the ambit of the WTO. The failure of Bali would mean that developed countries would hasten their efforts to execute free trade deals such as the Transatlantic Trade and Investment Partnership (TTIP) and Trans Pacific Partnership (TPP). Among these deals, the TPP poses a greater threat to India as it is perceived as part of a U.S. “pivot” to Asia, through which it will push an agenda that caters to the interests of its conglomerates. The deal contains, among other things, a vision to create a uniform intellectual property regime influenced by the interests of major pharmaceutical industries based in the U.S. In this regard, a post-TPP world with a severely handicapped WTO would affect Indian services and industrial exports adversely. Moreover, the deal will significantly affect India’s reputation and credibility in international forums. Further, the derailment of the deal due to the lack of a permanent solution to the food security issue will ensure that there will not be an international consensus on the same. The food security program is a well-intentioned initiative aimed at combating starvation and malnutrition, which affects poor households in India. It is an initiative that resonates with all developing and least developed countries. However, the program’s implementation system, particularly the public distribution system (PDS) of ensuring the distribution of rations to low-income households, has received severe criticism within India itself, and for good reason. The system in its current form will only promote rent-seeking behavior and fill the coffers of ill-intentioned middlemen and venal politicians, at the cost of deteriorating the condition of 25 percent of the world’s hungry. 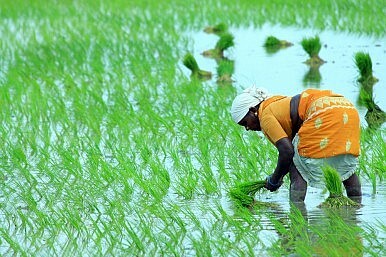 The “Peace Clause” in the Bali deal allows India to continue its food security program until 2017. The deadline provides ample time for India to streamline its delivery mechanism and conduct an empirical analysis of the trade distortion caused by the program. A cautious and deliberate approach to the issue would allow India to make a better case for protecting its program before the Committee on Agriculture at the WTO. At present, India’s stance is not based on numbers and data but on “principles.” Principles, no matter how strong, will fail to have any impact if they are not backed by a reasoned argument, and will further attract sanctions on an already flailing economy, preventing it from realizing its vast economic potential. One criticism of the rational choice theory is that it fails to factor in the external pressures that affect the decisions of a state. In the current scenario these external pressures seem to be unclear, but a prima facie cost-benefit analysis reveals that India’s current position will only result in negative economic growth, and adversely affect the ruling NDA government’s development agenda. The author is an independent trade consultant. He has previously worked at the WTO and taught at Jindal Global Law School.